I wrote yesterday about immature errors of cognitive reasoning. I cited a paper by Lindeman and Aarnio explaining that the immature errors of cognitive reasoning characteristic of childhood can extend into adulthood. Such immature cognitive errors are fundamental to natural childbirth advocacy. … [M]ental contents … have the attributes of physical or animate entities, resulting in the possibility that a thought can touch objects (psychokinesis) and move by itself (telepathy). … category mistakes where the core attributes of mental, physical, and biological entities and processes are confused with each other. It’s almost as if the researchers were referring to Ina May Gaskin, the widely revered doyenne of natural childbirth advocacy. We have found that there are laws as constant as the laws of physics, electricity, or astronomy whose influence on the process of the birthing cannot be ignored. The midwife or doctor attending births must be flexible enough to discover the way these laws work and learn how to work with them. Pregnant and birthing mothers are elemental forces, in the same sense that gravity, thunderstorms, earthquakes, and hurricanes are elemental forces. In order to understand the laws of their energy flow, you have to love and respect them for their magnificence at the same time that you study them with the accuracy of a true scientist. A midwife or obstetrician needs to understand about how the energy of childbirth flows – to not know is to be like a physicist who doesn’t understand about gravity. … [A]nalytical processes and rational knowledge do not replace intuitive processes and contents as children mature. Rather, both types of processes and knowledge exist and develop throughout one’s life, and therefore two conflicting beliefs can coexist in an adult’s mind, one more rational and verbally justifiable (e.g. “Death is final”), the other operating more automatically and being more resistant to logical arguments (e.g., “The soul continues to exist though the body may die”). same magical beliefs that are typical to preschool children are implicitly preserved and activated among adults even though the representations have been devaluated in the face of more rational knowledge. Intuition … emerges out of their own inner connectedness to the deepest bodily and spiritual aspects of their being, as well as out of their physical and psychic connections to the mother and the child. The trustworthiness of intuition is intrinsically related to its emergence from that matrix of physical, emotional, and spiritual connection–a matrix that gives intuition more power and credibility, in these midwives’ eyes, than the information that arises from the technologies of separation… [T]heir deep, connective, woman-to-woman webs, woven so lovingly in a society that grants those connections no authority of knowledge and precious little conceptual reality, hold rich potential for restoring the balance of intimacy to the multiple alienations of technocratic life. It’s no wonder then that immature cognitive errors thrive in an environment that ascribes such wondrous powers to intuition. 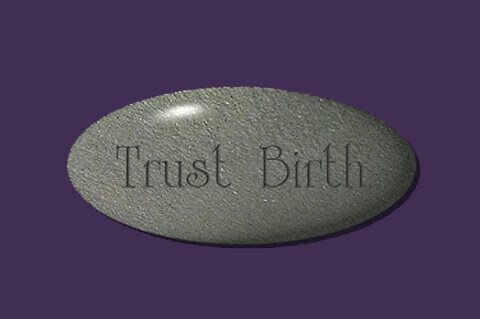 The multiple immature cognitive errors that constitute natural childbirth advocacy can be summed up in the mantra “trust birth.” The notion of trusting birth is central to natural childbirth advocacy; there is an organization devoted to promoting trust in birth, facilitators are trained to teach others to trust birth and there is a yearly Trust Birth Conference. The charge to trust birth rests on classic immature cognitive errors. Birth, a natural process, is portrayed as a living intentional entity capable of inspiring, expecting and rewarding trust. Implicit in the call to trust birth is the belief that specific thoughts (in this case trust) can bring about specific outcomes (an uncomplicated vaginal birth). It is an exhortation to deliberately ignore analytical reasoning about the reality of childbirth and its inherent dangers,and privilege positive intuitions.